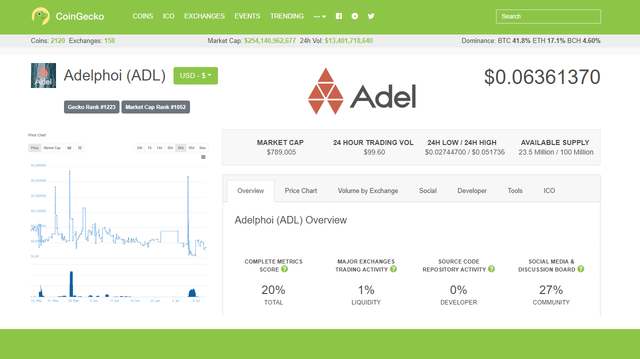 Check out our guide on how to trade ADL on Stocks.Exchange here! You now have an opportunity to vote for $ADL for listing onto @Lescovex. Our goal is to get over 1K votes, to get us into the top 10. 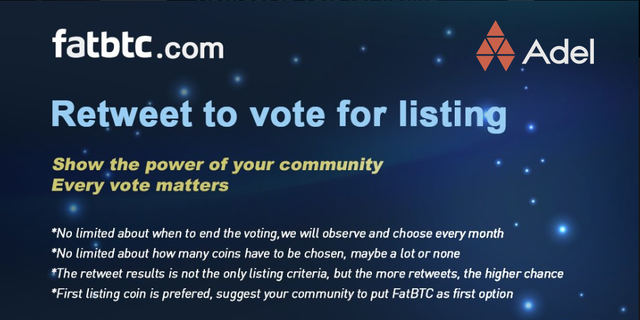 With 16,000 following us, this is achievable, together with the support of our community, Please kindly take a few seconds to click on the link below and upvote, then share this post on your social networks. We look forward to connecting with you 1on1, across all our channels! Yay - We are now listed on LiveCoin. @LiveCoin is an easy-to-use, safe & modern trading website with low fees. Open your account today and start trading ADL against three pairs: BTC, ETH & USDT! Our YouTube channel has been updated. We have tons of content from infographics & tutorials to interviews & presentations! Rest assured we will keep the videos coming so please subscribe. Thanks! Exciting news! 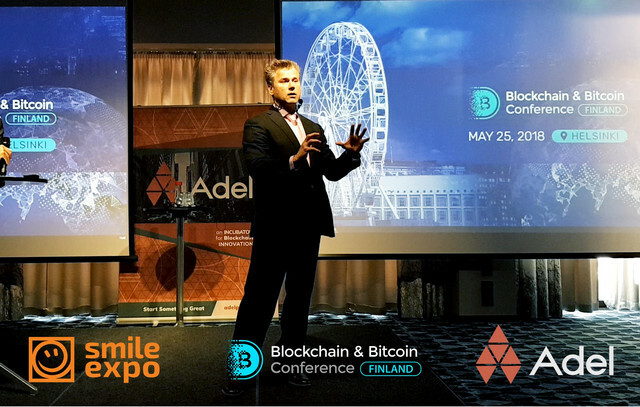 Adel will be presenting at yet another blockchain conference, this time we’re going to Helsinki! 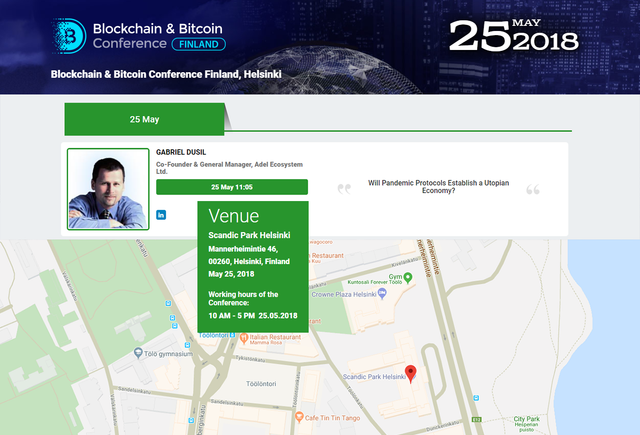 This is the first BItcoin & Blockchain conference to be held in Finland on May 25th, 2018. The focus of the conference will be on the legislative regulation of blockchain and cryptocurrencies in Europe & the rest of the world. We hope to see you there! 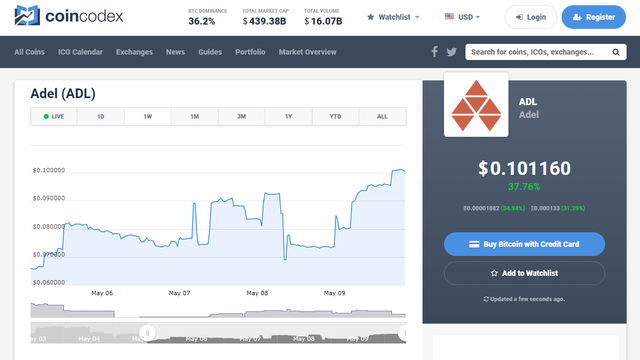 ADL has now been listed on Delta, a cryptocurrency portfolio tracker! This free app lets you track the price of ADL by automatically updating the price, you can even set your own price alerts. 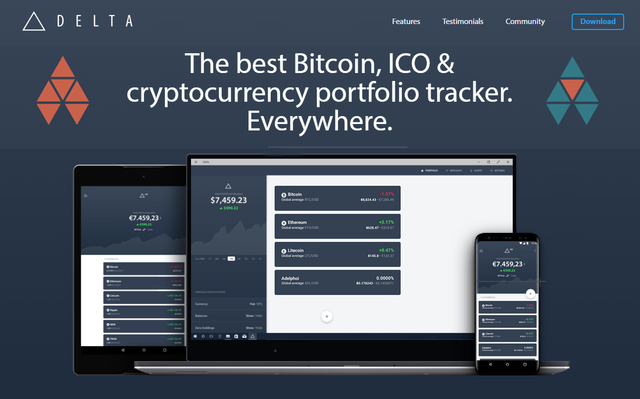 Add us to your Delta portfolio now, and stay in the loop! 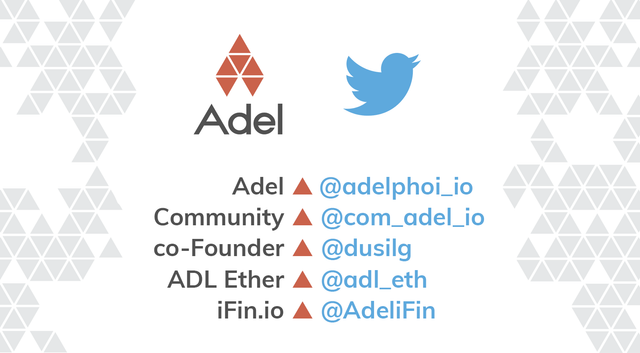 Follow Adel and our co-Founder Gabriel Dusil @dusilg @adl_eth @com_adl_io @adelifin on Twitter for the latest conversations on progress, news, events and all things blockchain • let’s start a conversion, see you there! We have been added to yet another cryptocurrency tracker, World Coin Index. There you can check out all the latest news, prices and different price calendars that are available. Track $ADL there now! 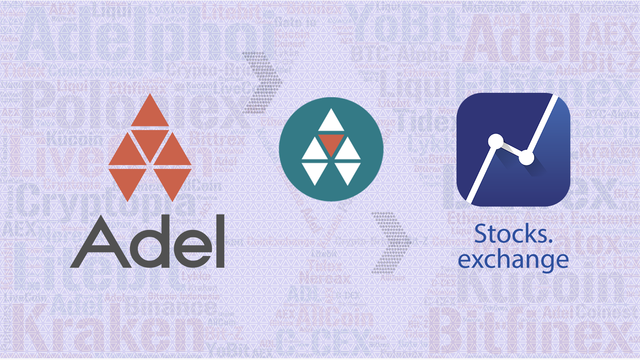 Adel is now listed on CoinCodex, you can add ADL tokens to your CoinCodex portfolio! You can also check out all the latest news, guides and overviews of the market! Add us now! 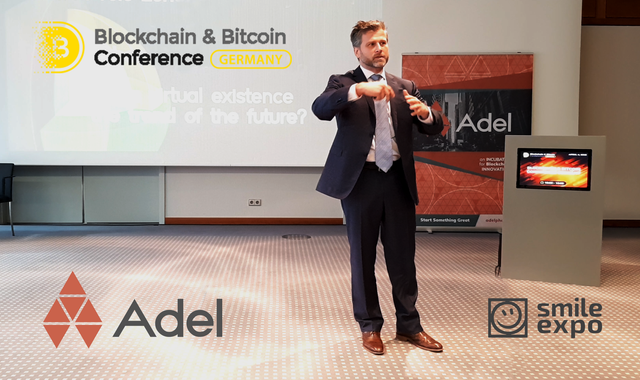 Adel’s co-founder Gabriel Dusil invites you to watch Adel present at the blockchain conference in Prague on May 17th! The topic will be focused on MultiStakeholder Governance for the Crypto Generation, where the concept of Borderless Citizen™ and the impact of blockchain will be discussed! Meet us in Prague, and join the crypto world. Use promocode ‘INFOPROMO20’ to get a special discount on your ticket! 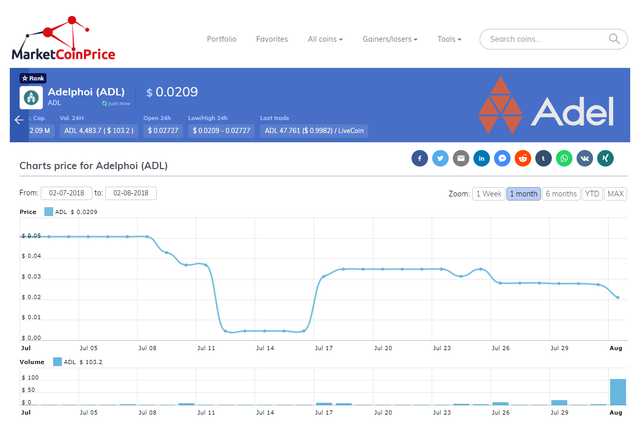 ADL’s price movement has been mentioned in Herald KS - a website for trending stock news. 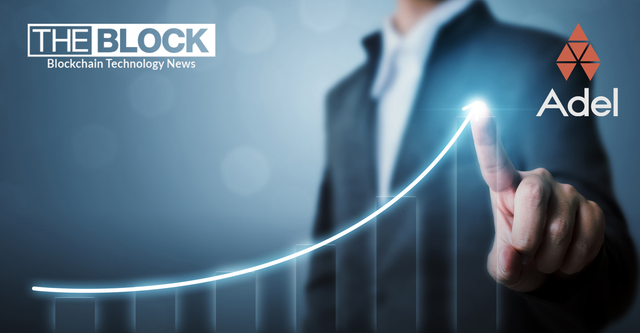 The article discusses a 40% price rise for ADL, with further predictions and information. Read about it here and please help spread the news! We are thrilled to announce Adel’s new roadmap for 2018! 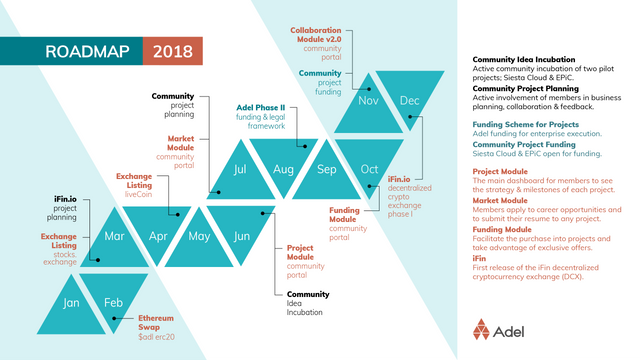 The roadmap displays Adel’s exciting plans for 2018. This includes updates on our plans with Siesta Cloud, EPiC, iFin and Adel Phase II. 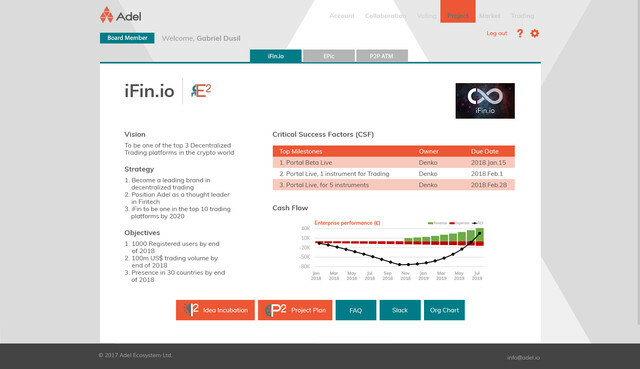 The roadmap also patterns out progress on our Project, Market and Collaboration Modules for the community portal. Watch this space for more details. 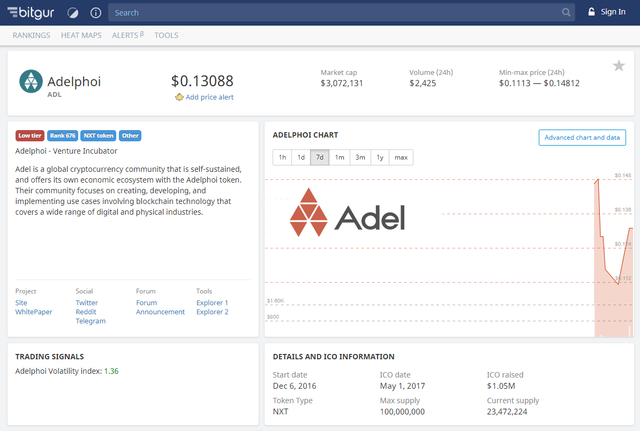 Adel’s 2018 is going to be great! Your voice matters. 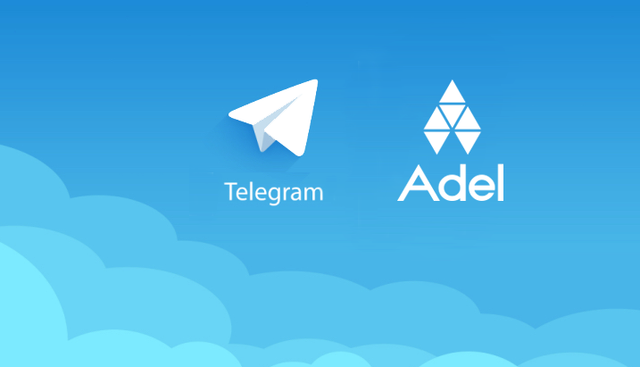 Thank you for helping us to grow the Adel community with your valuable feedback, questions and helping us to cultivate new members in the public Slack channel. Your participation and collaboration spreads value across the Adel network and beyond. Please kindly take a few moments to share your favorite update from today on your social networks and as always, we look forward to connecting with you personally, across our channels! Decentralised Exchanges are becoming increasingly popular, and we have been listed on one - Token.store, with special thanks to @Wolffang @RobinIO ! Token.store doesn’t rely on a third party to hold your funds, instead it facilitates trades that occur directly between traders, on a P2P basis. Trade ADL there now! 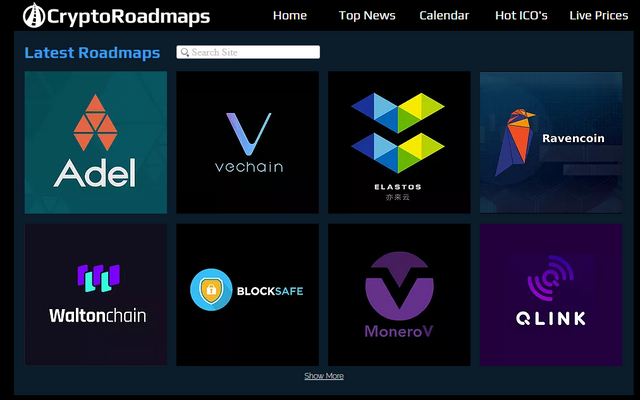 Our roadmap and information has been added to Crypto-Roadmaps! 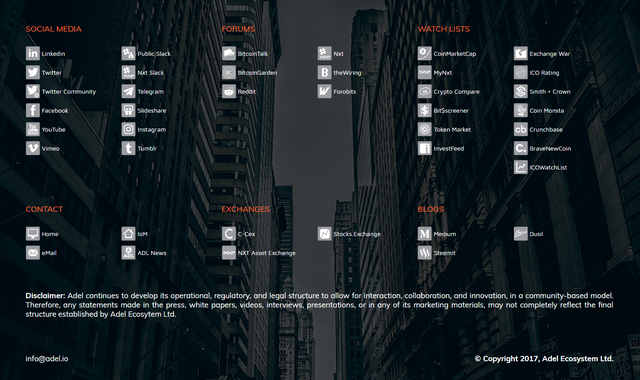 There you can view the roadmap of many cryptocurrencies including other useful links. 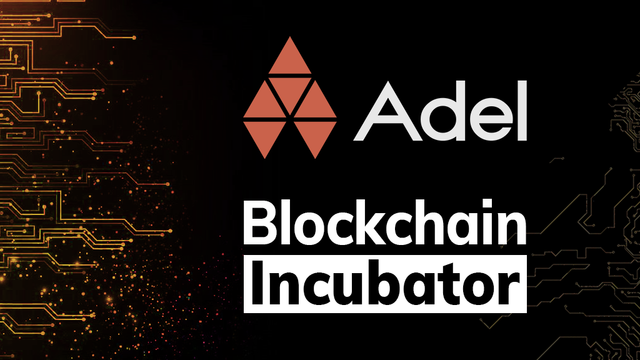 Check out Adel’s page now and see what exciting plans we have for 2018! 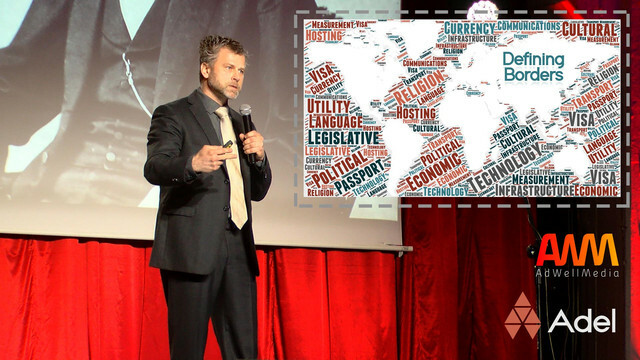 Adel and Gabriel Dusil to present at yet another Bitcoin & Blockchain Conference - wow! This time we’re going to Paris where Gabriel will discuss hat is driving the success of blockchain and the creation of the Virtual State. At the conference will be cryptocurrency market leaders, investors, entrepreneurs and many more - buy your ticket now to see us on the 18th July! 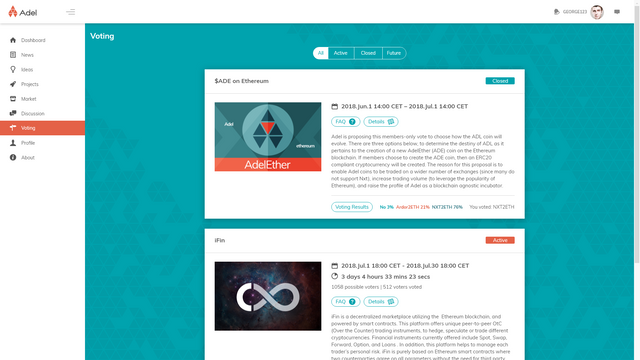 Adel has now been added to the Cryptocurrency guide, Cheddur! 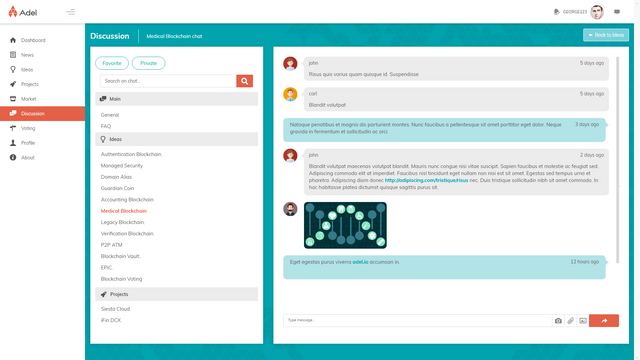 Also known as the ‘yelp for crypto’, Cheddur is a personal guide to digital currency that enables people to read and write reviews on cryptocurrencies. Join the social platform and support ADL, download the @CheddurApp now! Please share our post on LinkedIn and spread the word! 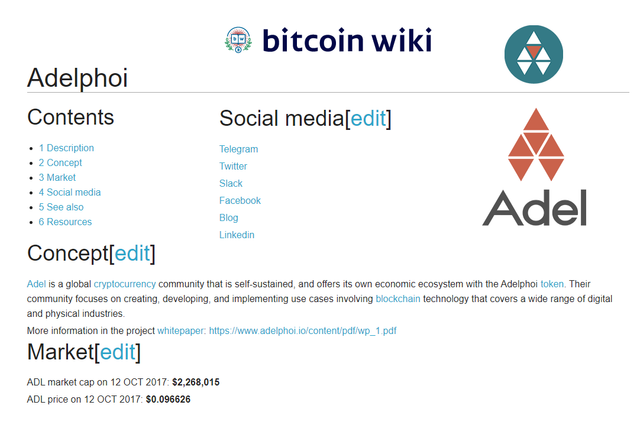 ADL has been added to default menu of MEW! 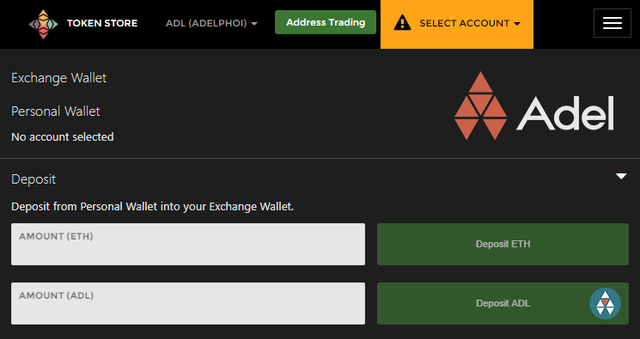 You no longer have to add ADL as a custom token on MEW - it is automatically shown. Remember you can also connect your Ether wallet with a hardware wallet such as a Ledger or Trezor for added security! Store your $ADL safely here today! Become an Adel Member today and be a part of the journey! Members vote on projects and can become profit participates when they are launched. 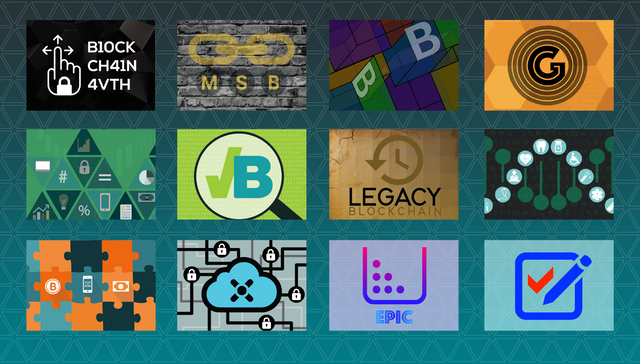 Different expertise from the community are combined and successful projects are re-invested for further growth, or issues as rewards to members. We are always working to get ADL traded on new exchanges. 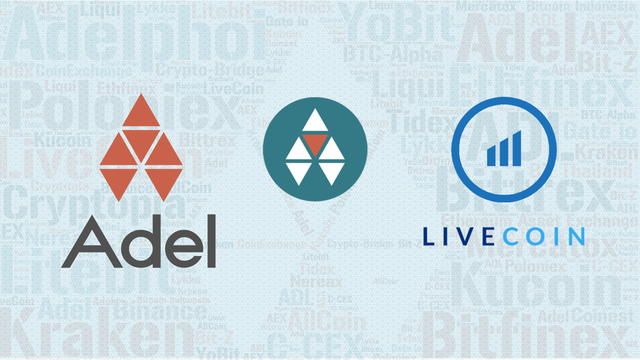 Currently you can trade ADL at LiveCoin, Stocks.Exchange, EtherDelta and decentralised exchanges ForkDelta & Token.Store. 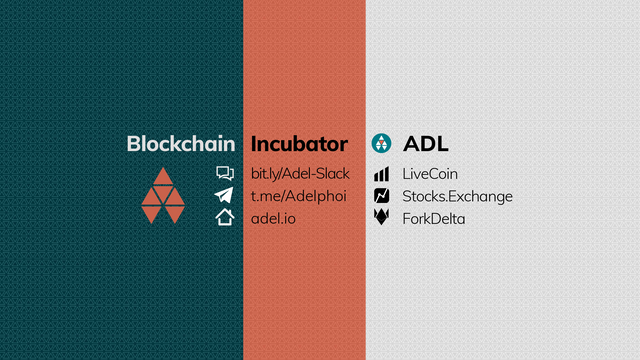 Below you can find all the links to start trading ADL today! 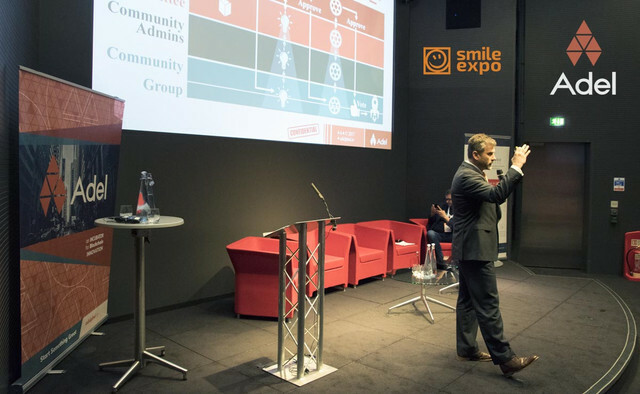 Check out our latest posting from Smile Expo’s ICO Event in London. 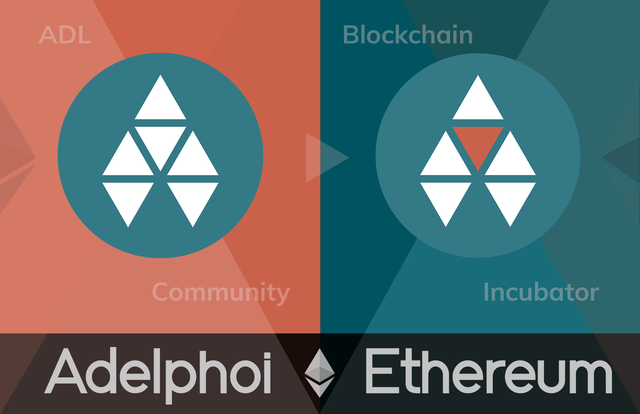 Adel’s co-founder explores the foundations of a community-based ecosystem, to fuel blockchain innovation. 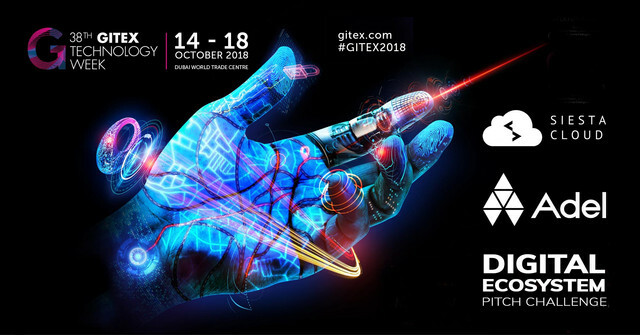 This particular presentation focuses on the challenges of building a streamlined environment for creativity and an efficient execution of successful projects that will use blockchain technology. Next up in our weekly Adel Conference Series is co-founder Gabriel Dusil’s presentation on Borderless Citizens in Berlin. The next two decades will be a fundamental shift in human interaction, sharing, and freedom. Watch the full video here to hear about the creation of virtual communities in more detail! Give us a Like and share it on Twitter! 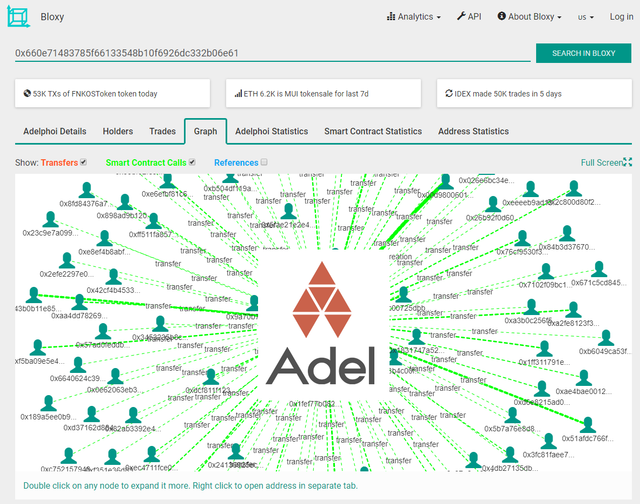 Follow our new blog posts and updates on our new Medium page to keep up to date with Adel’s progress. Thanks to @Wolffang @RobinIO for putting this together. Please share and spread the word, thanks! Next up in our weekly Adel Conference Series is co-founder Gabriel Dusil’s presentation, “Will Pandemic Protocols Establish a Utopian Economy?” Watch the full video here to hear about the creation of virtual communities in more detail! Give us a Like and share it on Twitter! 1. Quote (from the originator), 2. Their name, title, and company, 3. Their photo (in high resolution). Testimonials will be displayed on our homepage and will be promoted via our social outreach. Size of the bounty will be based on the person’s role and prominence in crypto. 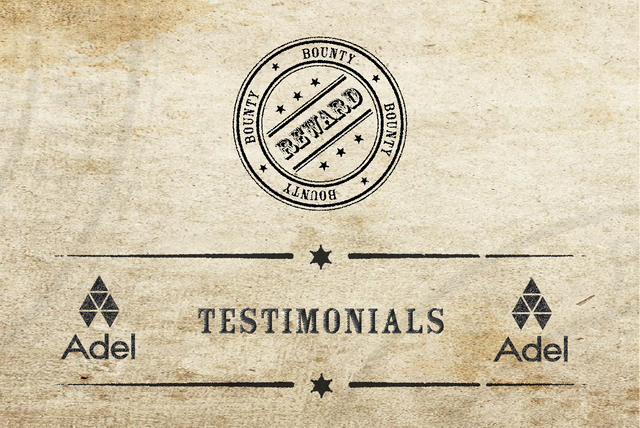 Send your testimonials to info@adel.io. Bounty claimers need to have an account registered on the Adel portal. Video testimonials will receive a bonus bounty! Adel’s co-founder Gabriel Dusil discusses Decentralised Cryptocurrency Exchanges (DCX) and the potential impact it will have on the future of stock trading. An exciting read especially as we have Adel’s iFin DCX project making excellent progress. Check out the article on WhatInvestment.co.uk to see what DCX’s have to offer. 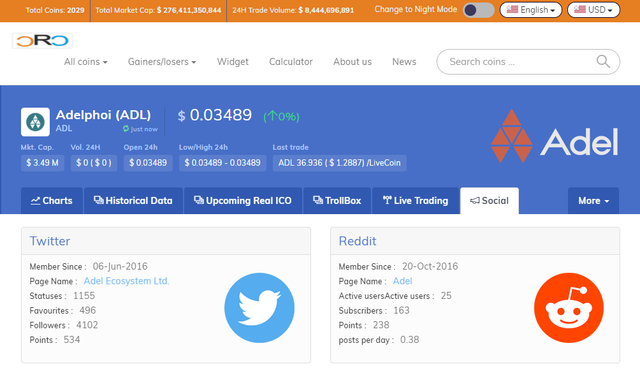 ADL has been added to CoinGecko,a cryptocurrency data website that uses quantitative and qualitative data to rank altcoin’s potential. 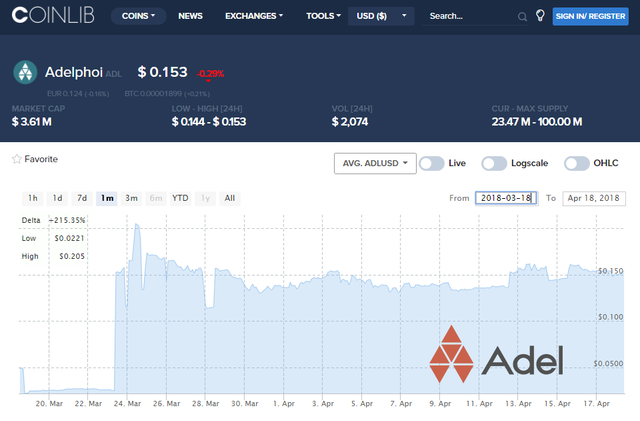 Check out $ADL on CoinGecko now! Adel will present at the Bitcoin & Blockchain Conference in Paris next week on July 18th! Gabriel will discuss the creation of the Borderless Citizen and how to bring crypto into the mainstream. At the conference will be cryptocurrency market leaders, investors, entrepreneurs and many more - buy your ticket now to see us on the 18th July! Adel has appeared in bankingtech.com this week! 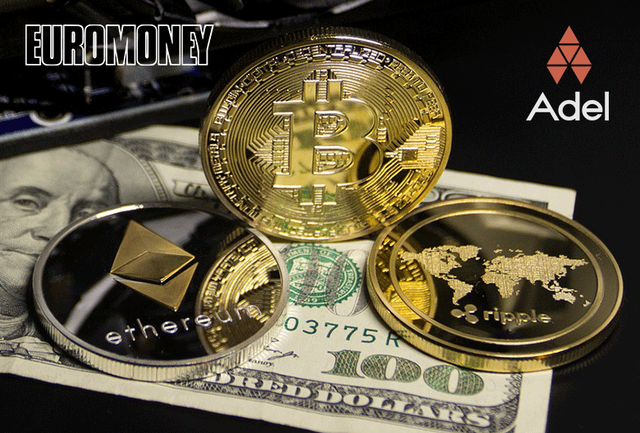 Co-Founder Gabriel Dusil discusses the use of blockchain technology and smart contracts, and how it has the potential to disrupt the entire retail banking sector by smoothing out the borrowing and lending process. 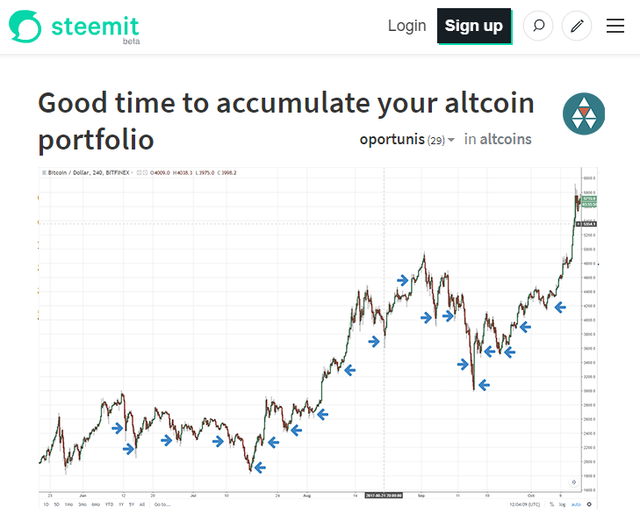 Check out this SteemIT article which discusses BTC and why you should be accumulating altcoins. Written by @Oportunis, this article discusses why ADL is a sleeping giant and what is in store for the rest of 2018! 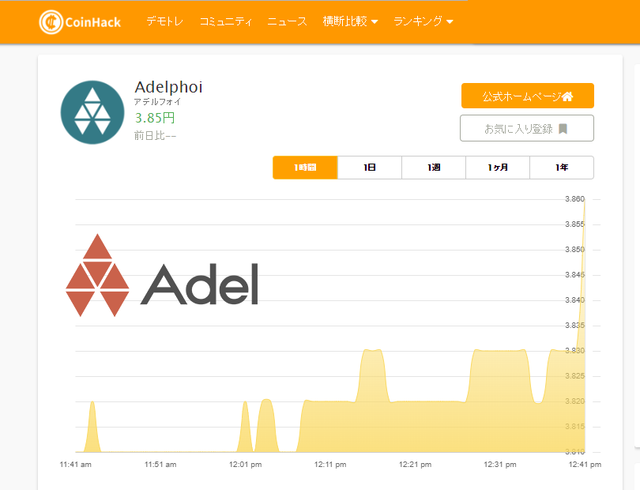 ADL has been added to yet another Crypto tracker, this time it’s in Japanese! 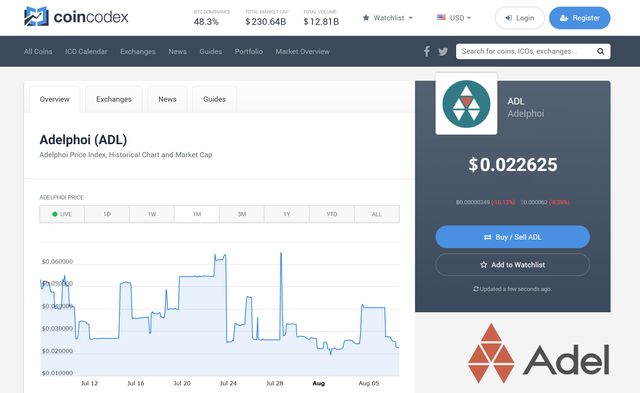 Check out ADL on CoinHack for all the latest Japanese Crypto news, including statistics, charts and updates with on our social media! The Adel team are keeping it moving! We are progressing at a good pace with our Community Portal. The UI is looking fantastic! 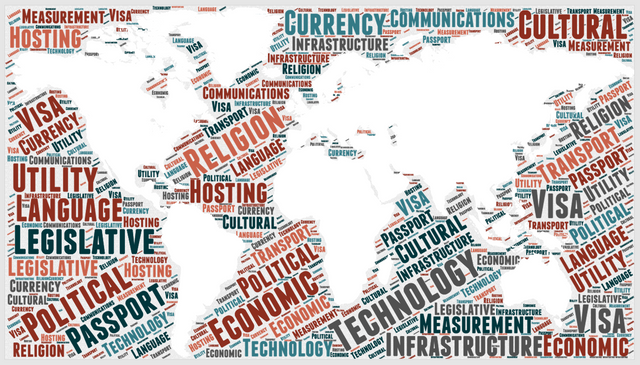 Here is a screenshot of our discussion module. Stay tuned for more moch-ups. 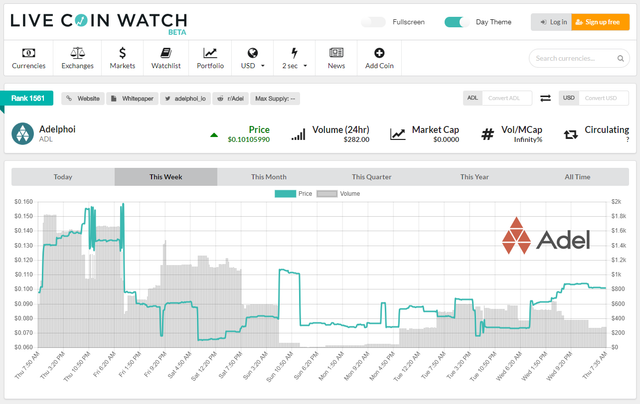 Live Coin Watch is a fantastic cryptocurrency tracker with a great user interface. 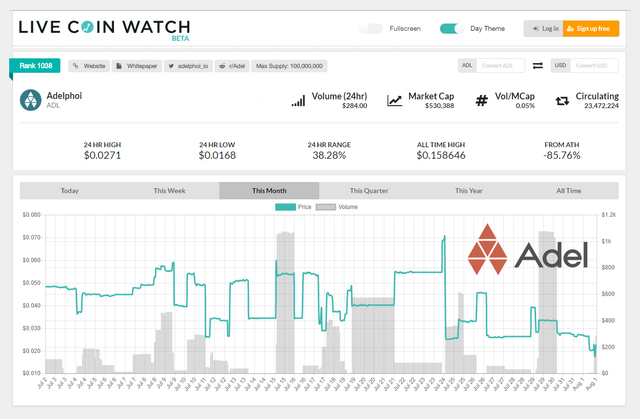 Not only can you check the price, volume and charts but our Reddit & Twitter page is also integrated into the webpage! Furthermore, you can even access all our white papers from the website. 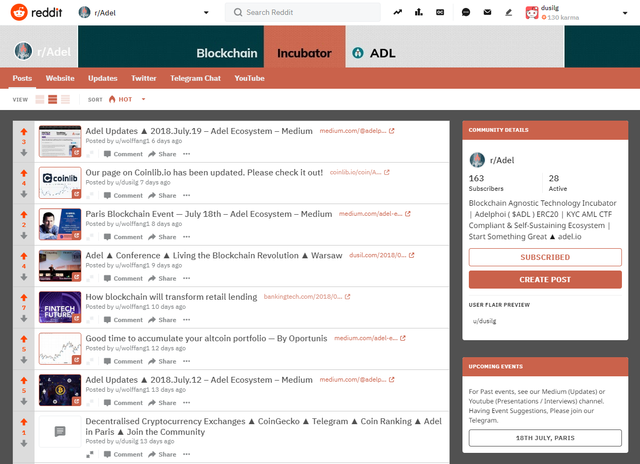 It is an extremely resourceful website for all Adel’s updates! 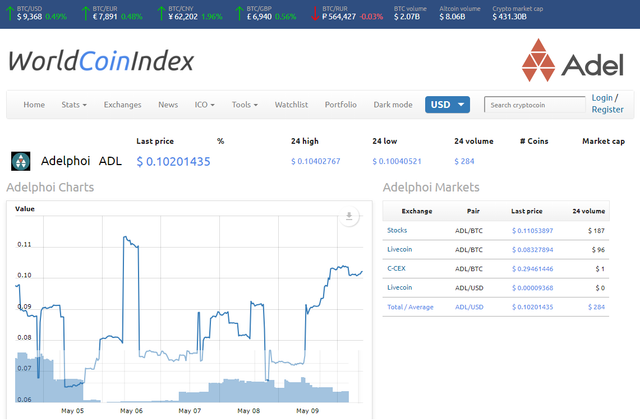 $ADL has now been listed on MarketCoinPrice! 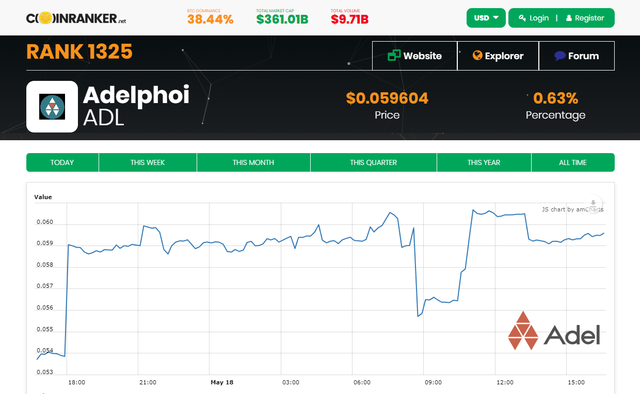 The website provides a summary our coin’s current and historical price as well important updates. Prices are updated every minute so you can keep up to date with how Adel and ADL are performing! Check out this new web page by @theWireMaster. 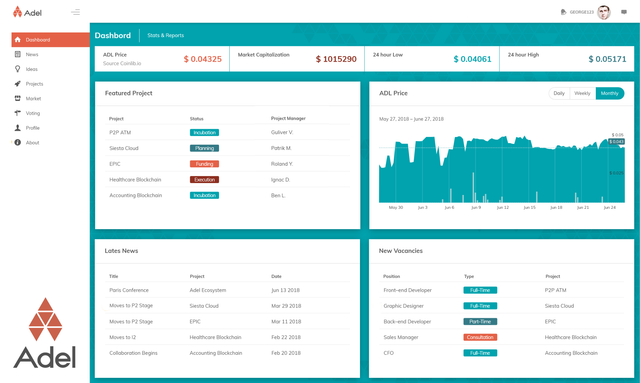 This post organises all of the projects being currently worked on using the Adel platform. 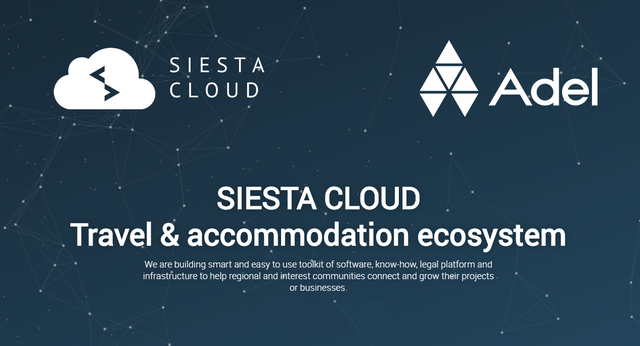 It shows the I2, P2 and E2 progress for each project including the exciting decentralised exchange, iFin and the online travel & accommodation platform Siesta Cloud. 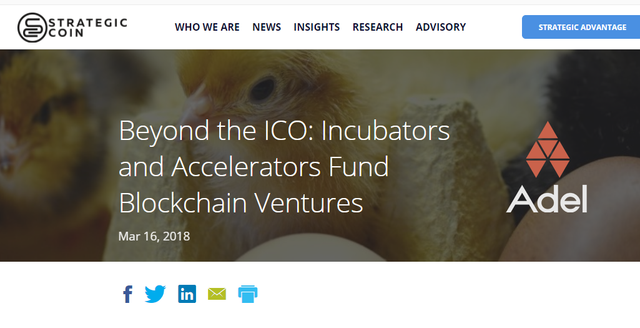 Read about many other ideas being built on Adel’s platform here! 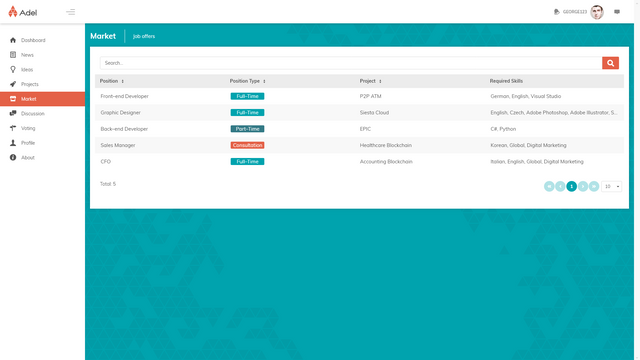 We are progressing at a good pace with our Community Portal. The market module allows Adel members to view a variety of job vacancies available for certain projects and specifies the required skills to fulfill them. 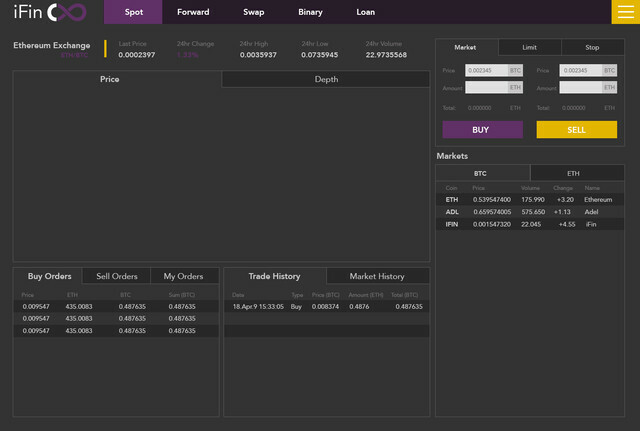 Here is a mockup of our market module. 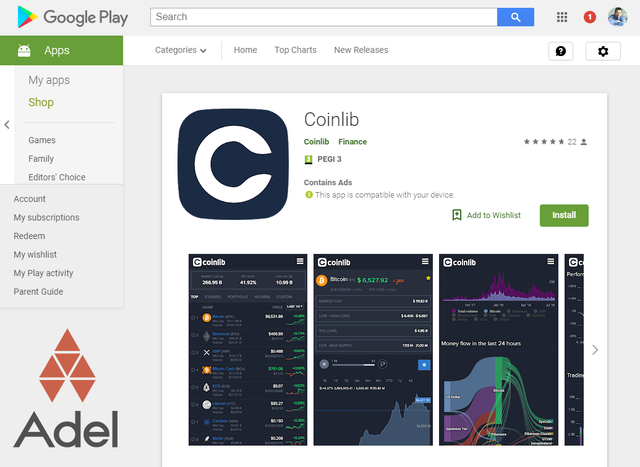 We have now been added to the @coincodex cryptocurrency tracker! 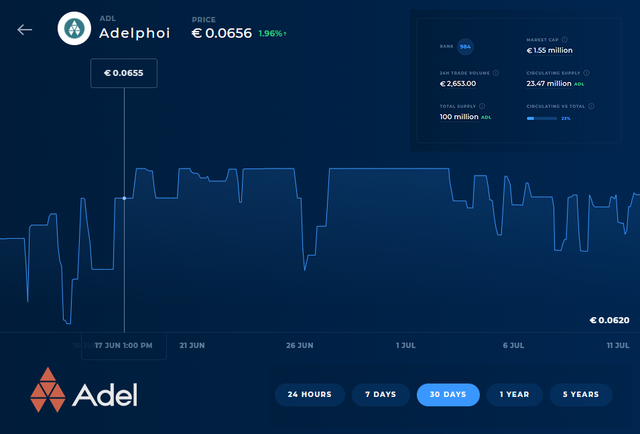 Keep up to date with all Adel’s latest news + prices through Coincodex. They even have a newsletter to get crypto updates straight to your inbox. Check it out here! 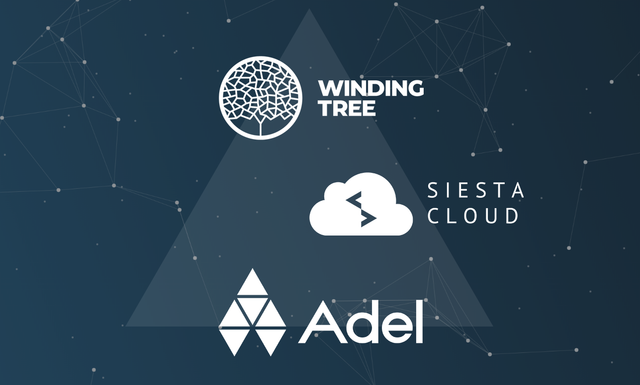 Check out adel.io for a comprehensive white paper on the Siesta Cloud solution, in the Project section. 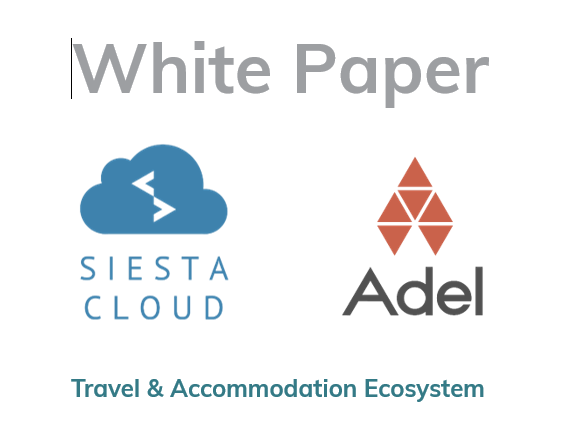 This white paper explains how Siesta Cloud will revolutionise the travel industry with the use of blockchain & Adel. We have just released a press announcement regarding the Siesta & Winding Tree partnership. 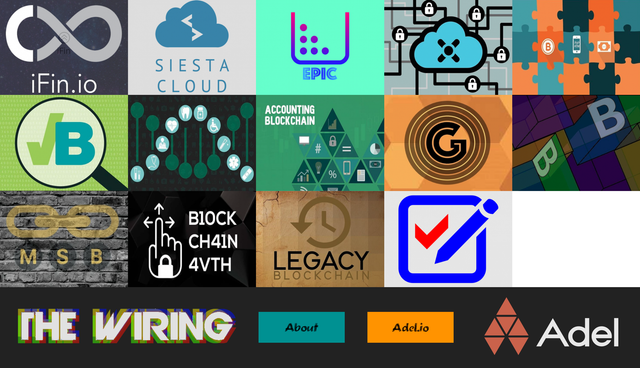 This will enhance Siesta Cloud’s services with a robust blockchain solution. By using this technology, a new layer of open-source infrastructure is created to give smaller service providers the opportunity to record their business on an immutable ledger. 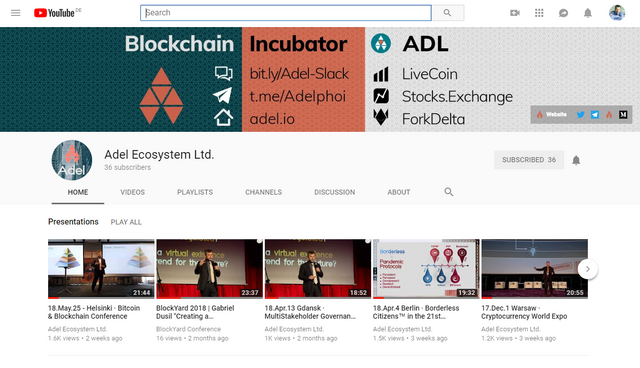 Adel’s YouTube has a custom URL! Thanks to @RobinIO @Wolffang for creating it. Our YouTube channel is full of a wide range of videos, including presentations, interviews, tutorials & even infographics. 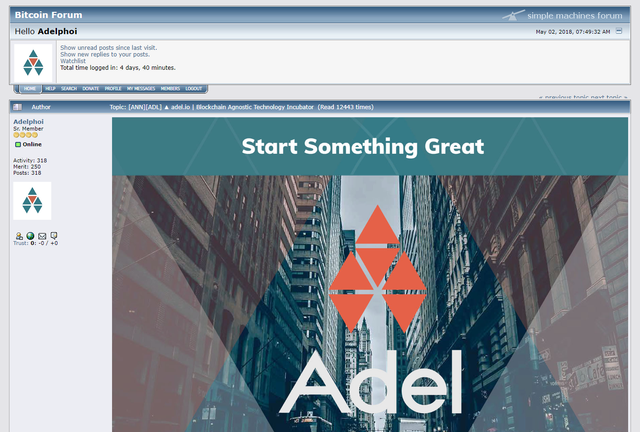 Check it out here to see what Adel has been up to! Thanks to @citijohn an article written by Adel’s Gabriel Dusil & John McLeod has been posted on to Irish Tech News! 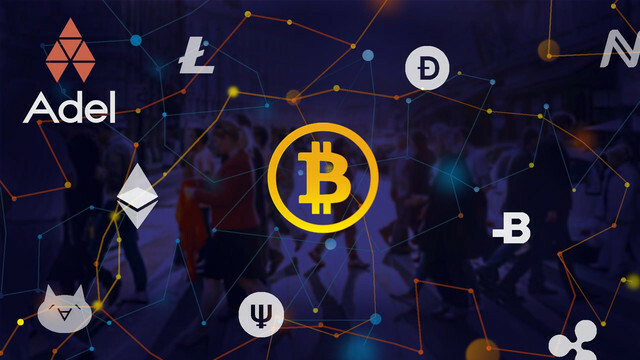 The article discusses ‘How Blockchain Subverts Today’s Entrenched Power Structures’ and that with the use of crypto, people now have the potential to break down the traditional borders that have divided them. Selected members begin user testing on October 8th and they will provide feedback for the beta run-through of our Adel Community Portal v2.0. A system has been outlined for reporting issues and their feedback will be provided & taken onboard to streamline the Portal’s functionality. Keep updated on our telegram. 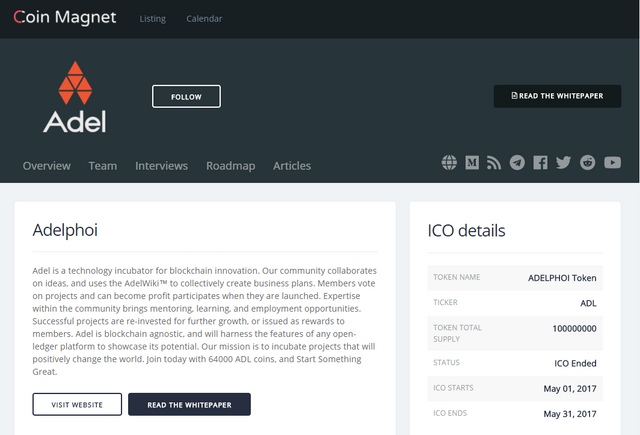 Don’t forget to check out our Medium blog for all the latest Adel news & updates! September was a busy month for Adel with plenty of articles being posted, keep in the loop! Our YouTube channel is full of a wide range of videos, including presentations, interviews, tutorials & even infographics. 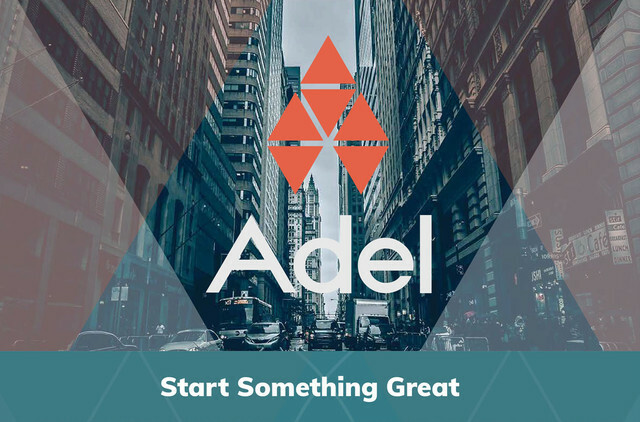 Check it out here to see what Adel has been up to! Beta testing, will be completed by October 14th, so that we can proceed to fix everything for our official v2.0 release. The team are taking all the feedback into consideration. 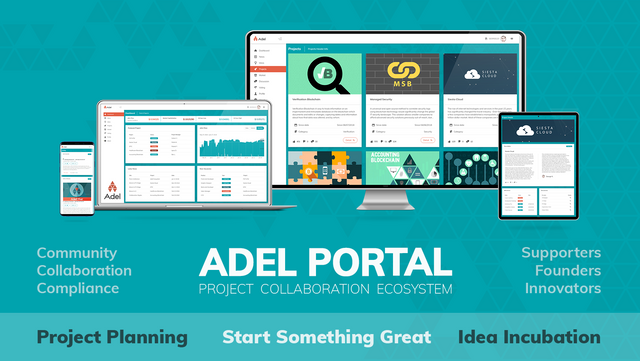 Thank you to all the portal testers as you are helping Adel become the best it can! Adel with Blockchain Connect will be presenting at a new crypto event being hosted by the American Chamber of Commerce on November 1st 2018 at PwC, City Green Court, Hvězdova 1734/2c, 140 00 Prague, Czech Republic. This event will focus on real-world use cases in Distributed Open Ledger Technologies (DLT). The session will be launched by a presentation from Adel’s co-founder, Gabriel Dusil, who will also moderate a panel of experts in an open Q&A discussion, concerning legal services from Squire Patton Boggs, consulting services from PwC and infrastructure services from IBM.